Set in the incredible UNESCO Palm Groves or El Palmeral of Elche the Hotel Jardín Milenio is just a short stroll through thousand-year-old palms to Elche city centre. Built around an attractive courtyard the 72 rooms are very pleasant but nothing special in themselves it’s more about the location, all have pleasant views of the Palmeral or the lovely, large swimming pool. There’s also a sauna, fitness room and playground. The Restaurant La Taula del Milenio is very nice, serving Mediterranean cuisine and, weather dependent, you can dine indoors or outside on the terrace next to the pool. A quiet, reflective and historical spot amongst the palm groves of Elche. We’d happily return. 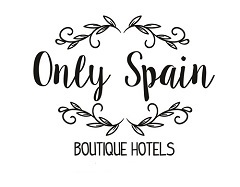 Have you visited a great hotel in or around Valencia that you’d like to recommend?